Last week, I published a report at the Center for Arms Control and Non-Proliferation that revealed the complete annual data behind Department of Defense estimates for missile defense spending. The Pentagon opted not to release such detailed data in its budget reports this year, so it required some DIY budget transparency. One noticeable gap in this data, however, is the Navy. 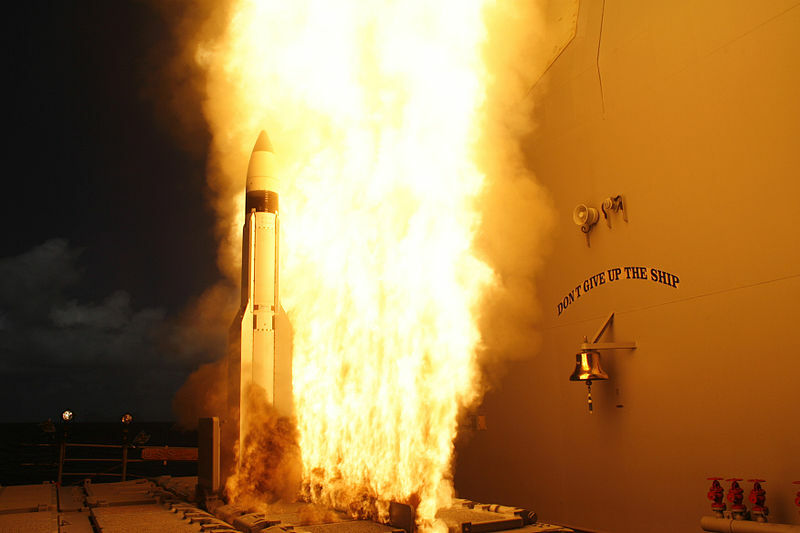 The Navy has a primary role in regional missile defense plans. By 2017, the Navy will have an inventory of 311 SM-3 missile defense interceptors and 35 Aegis-equipped ships. If an enemy were to fire a missile toward Europe from, say, the Middle East, Navy captains on these ships are supposed to be able to fire interceptors and pick off the inbound missile. Yet, by Pentagon budget estimates, the Navy is not expected to spend a dime on missile defense through FY2017. This flips the normal process on its head. Usually when a program moves from research and development into procurement, the military services pay to procure and operate the equipment. The Navy escaped this routine and logical step somehow for its SM-3 missiles, and, in the process, dodged the expense. It’s not transparent, but this shell game reveals where Navy priorities are. They want boats, not expensive missile defense systems with a history of cost overruns and schedule delays. The statement is telling. The Navy is eager to satisfy directives from the Commander and Chief, more so if it means procuring nine new DDG-51 destroyers over the next five years. But times are tight. The Navy budget shrank by almost $1 billion this year, budget cuts are likely ahead, and the threat of sequestration looms. The Navy needs to cut non-essential programs to preserve core capabilities and keep a large fleet. So, when it came time to load ships with costly SM-3 missiles for a non-core mission, the Navy was probably all too eager to avoid that expense, instead saddling MDA with the additional costs. I would expect this budget game to become more common as defense budgets get trimmed. If one of the services really wants a program, it will protect it. If a program is deemed unnecessary, the service will try to cut it. If it cannot be cut, the service will try to get someone else to pay for it. Missile defense programs seem to be in the third category. And nobody except MDA will want to get caught holding that bag in the end.